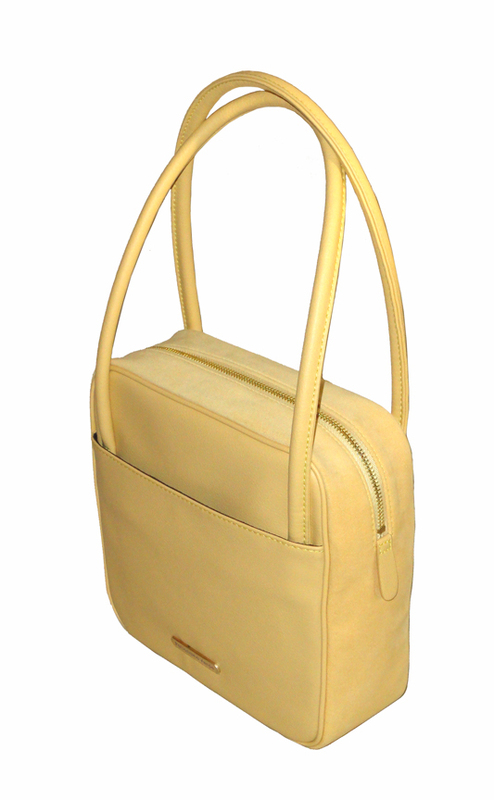 The Butter Yellow Square handbag is an Eco-Style vegan handbag with simple elegant style, perfect for every day or an evening out. This handbag has room for all your on-the-go items, with a roomy interior and pockets inside and out for all your essentials. The Square's unique design is accented by a Goldtone Metal Zip closure and nameplate. A fully lined interior offers a zippered pocket for your cell phone and keys.